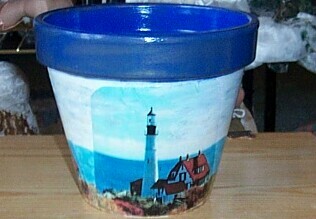 All clay pot's are coated with at least 2 or 3 coats of outdoor/indoor polyurethance gloss varnish. With this coating cleaning is only needed to be done with mild soap and water. 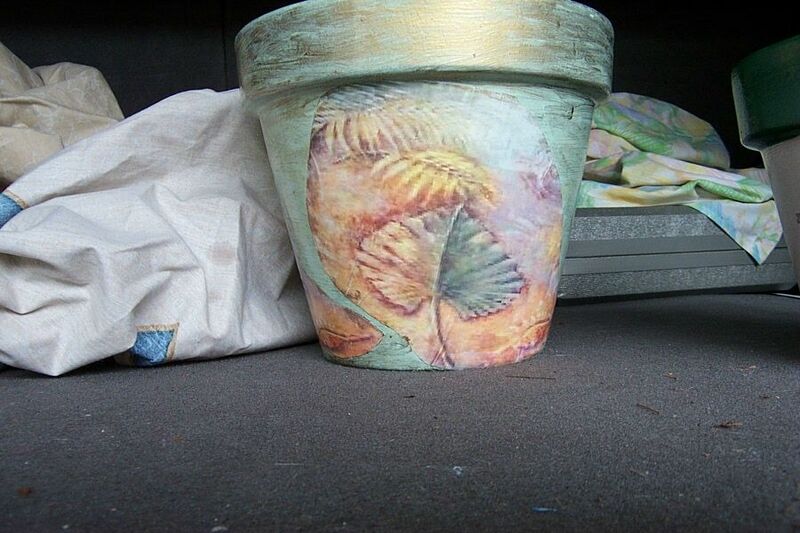 All painting is done to blend in with the design, so some are painted a solid color, when others can have the rim and inside clay pot a different color. 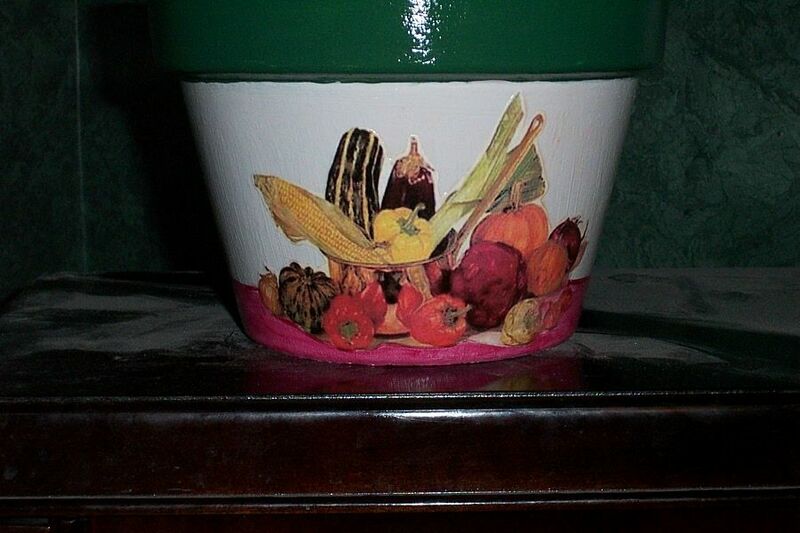 When ordering you can let us know what color or colors you would like the clay pot painted. Designs shown below is only a sample of clay pot design's that can be done up, so if what you looking for is not listed below please contact us with your request. 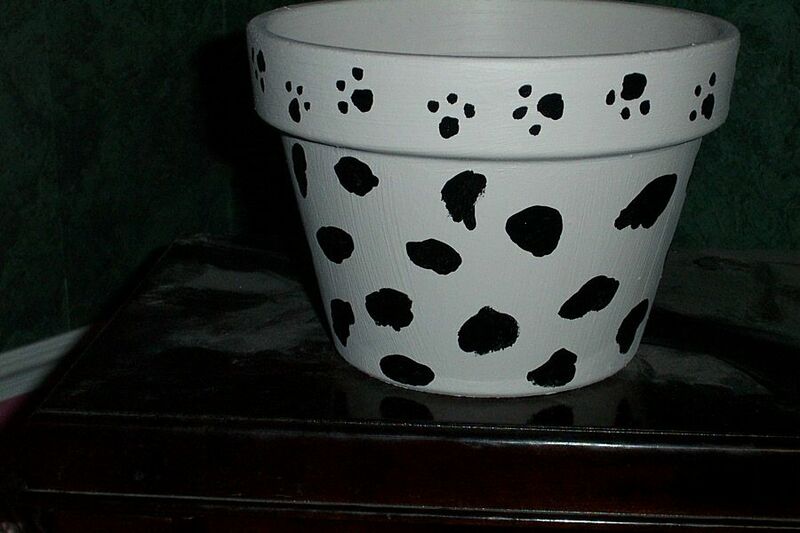 Can be done up in a smaller clay pot for $5.00 each. Price doesn't include Shipping & Handling cost. 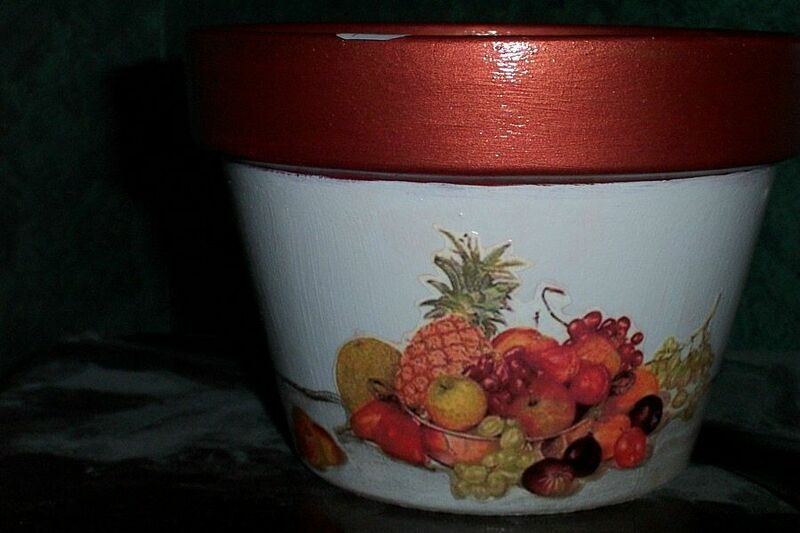 Please allow at least 1 week to paint, design and seal clay pot's before shipping. For order form, email address and shipping information look under Contact Us.